You'll find plenty of places to visit near Las Vegas: Cowabunga Bay Water Park (in Henderson) and Hoover Dam (in Boulder City). 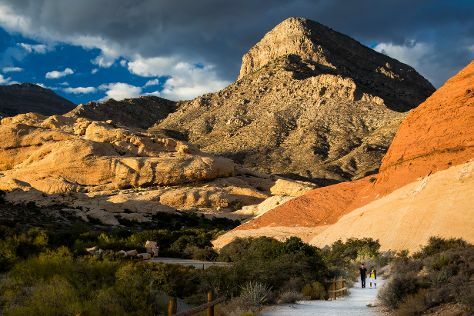 There's still lots to do: admire the majestic nature at Red Rock Canyon National Conservation Area, take a memorable tour with Tours, take in panoramic vistas at High Roller, and try your luck at Bellagio Hotel and Casino. For photos, traveler tips, more things to do, and more tourist information, go to the Las Vegas trip planner . If you are flying in from United Kingdom, the closest major airports are McCarran International Airport and Laughlin Bullhead International Airport. In July, daytime highs in Las Vegas are 47°C, while nighttime lows are 32°C. Finish your sightseeing early on the 8th (Mon) so you can travel back home.